Hi there everyone! It seems this technology thing isn't going anywhere, so we might as well embrace it. Also since we are in Memphis and most of our friends and family aren't, it will be a fun way for us to keep in touch. Brad and I seem to be busier than ever trying to grow into our careers while keeping our personal life balanced with one another and those we care about most. Last weekend was so special to us as it was our first time back to Alabama since Christmas. The only bad thing about going home is the visits are never long enough. However, we did manage to fit in seeing family as well as Emily, Josh, and little Maggie. Can anyone believe we've been in Memphis for two and half years now?! Now that we've been here a couple of years, we feel like we can support the Memphis Tigers without looking like complete band wagon fans. Brad enjoys keeping up with them and our Bama football team 's spring practice sessions. We were fortunate to get to go to the Memphis vs. UT game with Mark and Kerry Forbes. Even though Memphis lost, it was an awesome experience. Cross your fingers Memphis wins Sunday in the Elite Eight. Believe it or not, it seems as if this basketball team has brought this City closer than anything else. We're also getting ready for our cruise in May to Italy! 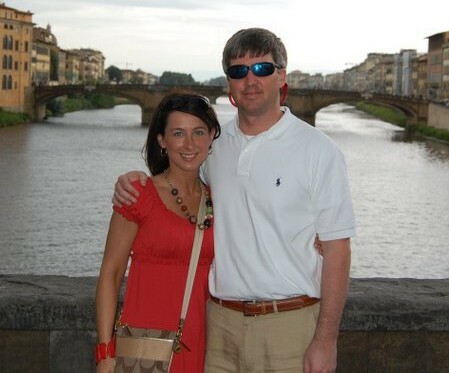 In 7 weeks, we will be enjoying the coast of Italy with our friends Melanie and Nick Agee. This is our first cruise, but the Agees are cruise experts and are helping us prepare. We can't wait to enjoy such historic places and great food and wine...and of course Melanie and I are excited about the shopping! Hopefully, you will enjoy our blogs, and we will try our best to keep it updated for you. Please add posts to it and let us know what you think!